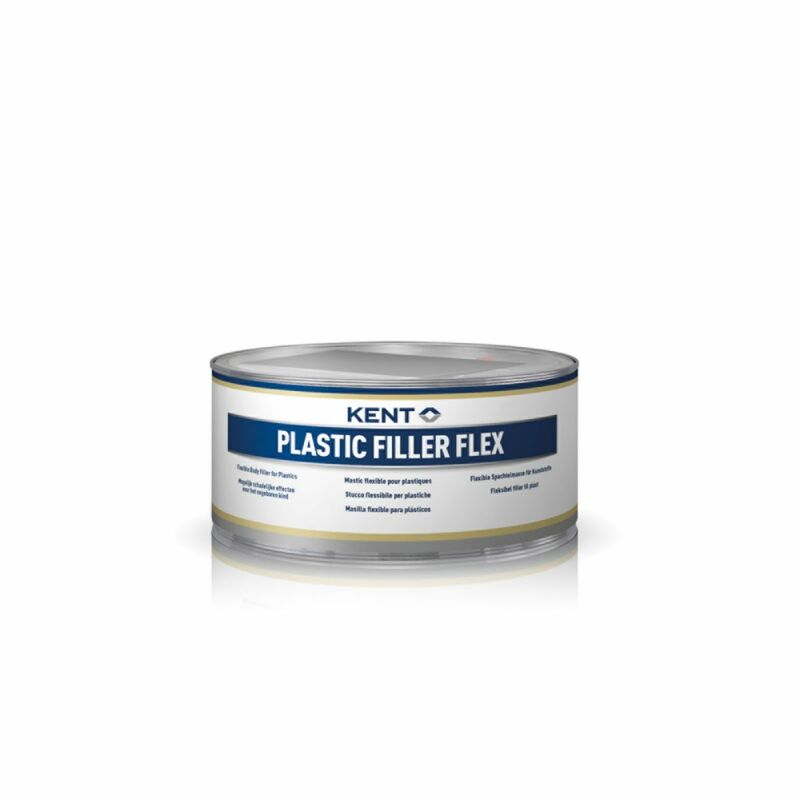 A two-part polyester filler which has been specially formulated using premium resin systems offering high adhesion and flexibility to most plastic components. 1. The surface to be treated must be degreased, dry, dust-free and slightly roughened. All prior coats, both un-hardened lacquers and thermo-plastic acrylic varnishes must be removed. 2. Add 2 parts of red hardener paste to 98 parts of filler. 3. Mix until a homogeneous shade of colour is achieved. The mixture has a pot-life of about 4 to 6 minutes. 4. After 30 minutes the hardened filler will be sandable. 5. The hardening process is accelerated by heat and delayed by cold. 6. Always wear gloves to avoid contact of greasy fingers on vehicle – these are not always removed by Panel Degreaser. 7. Always use a mixing pallet, this minimises inclusion of air and reduces risk of contamination from other products. 8. Panel Degreaser should always be used to remove surface contamination. 9. Use KENT Spray Guide to detect imperfections in final work.